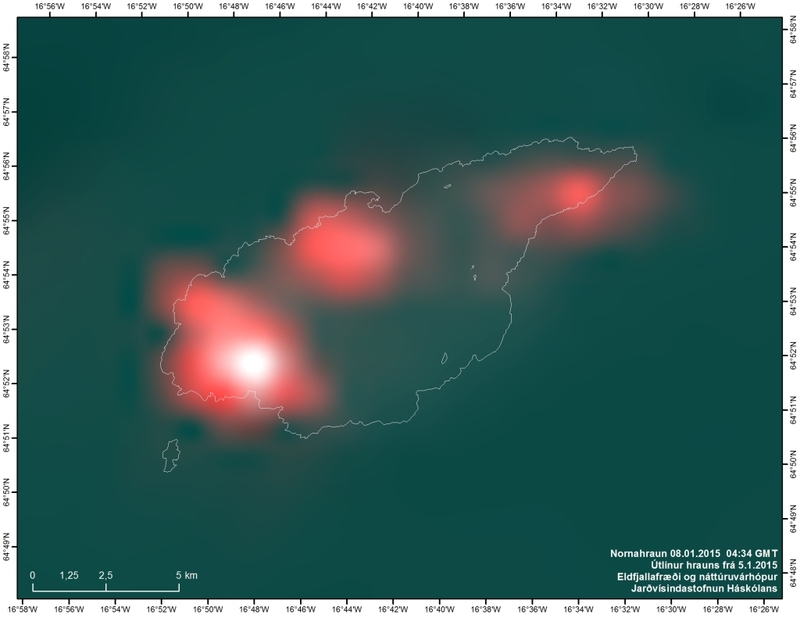 The volcanic eruption in Holuhraun continues into the new year, 2015, with similar intensity as it did in the last few weeks of the old year. 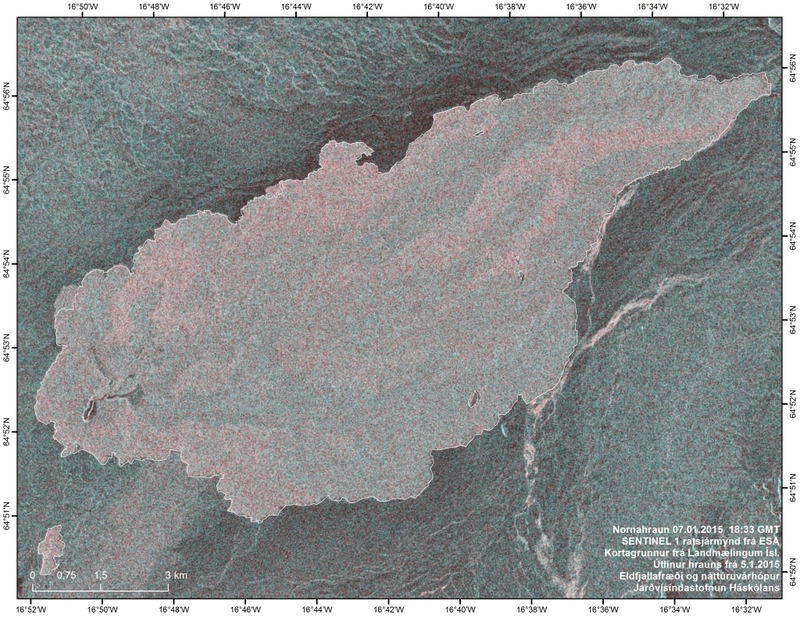 Lava is still flowing in tens of qubic meters per second from the crader, building a constantly growing lava field in the sandy area north of Vatnajokull glacier. 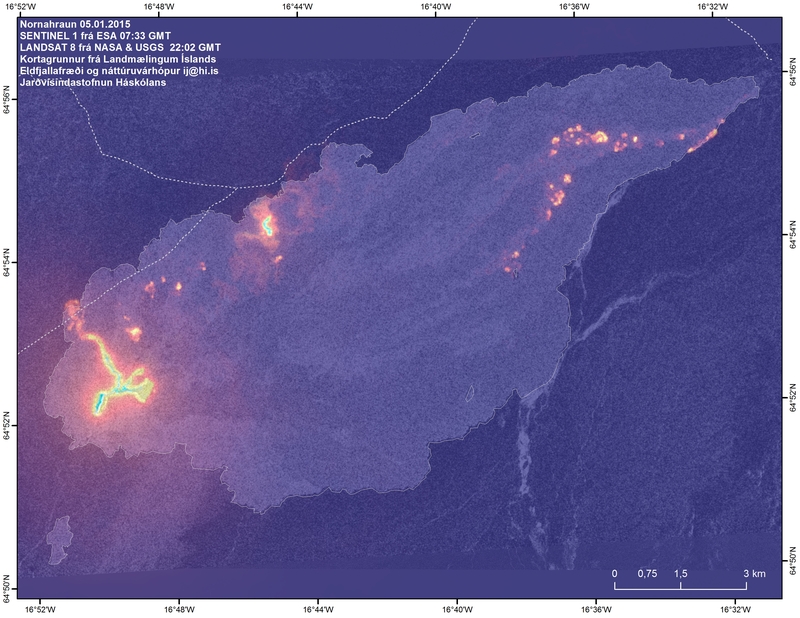 The lava field is now 84,1 km2, according to Institute of Earth Scienses UI from 10.01.2015. 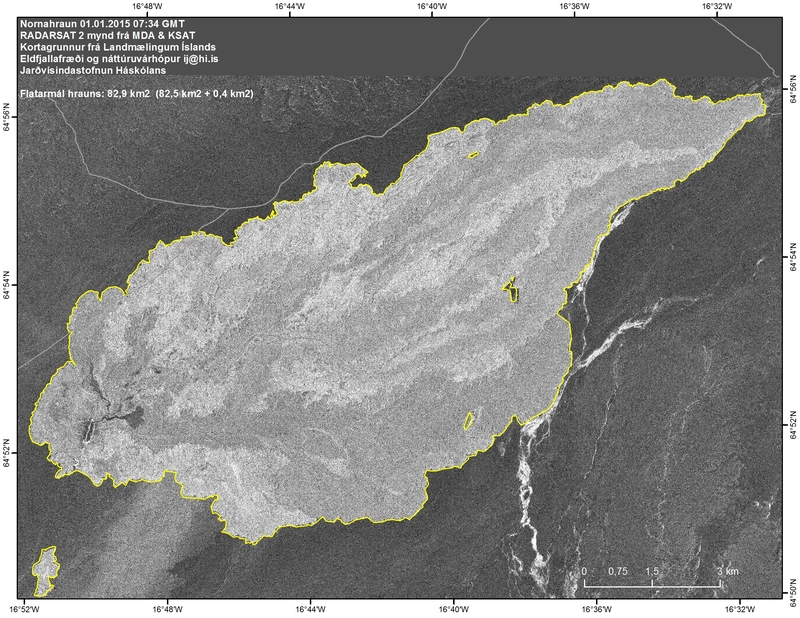 Below are few images of the lava field in Holuhraun from satellites. 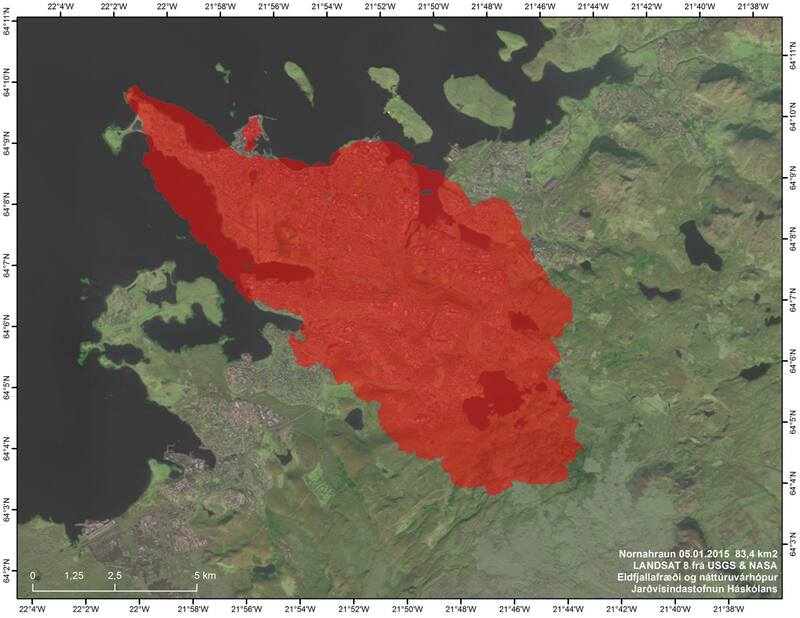 The first image shows the lava field covering the Reykjavík area to give a relative comparison of its size. 4,0. Over 20 earthquakes were detected in the dyke of the same period, all of them smaller then M2,0. at 04:21. Around 20 earthquakes were detected around Herdubreid, all smaller then M2,0. GPS measurements near northern Vatnajokull glacier show continuing slow deflation towards Bardarbunga. 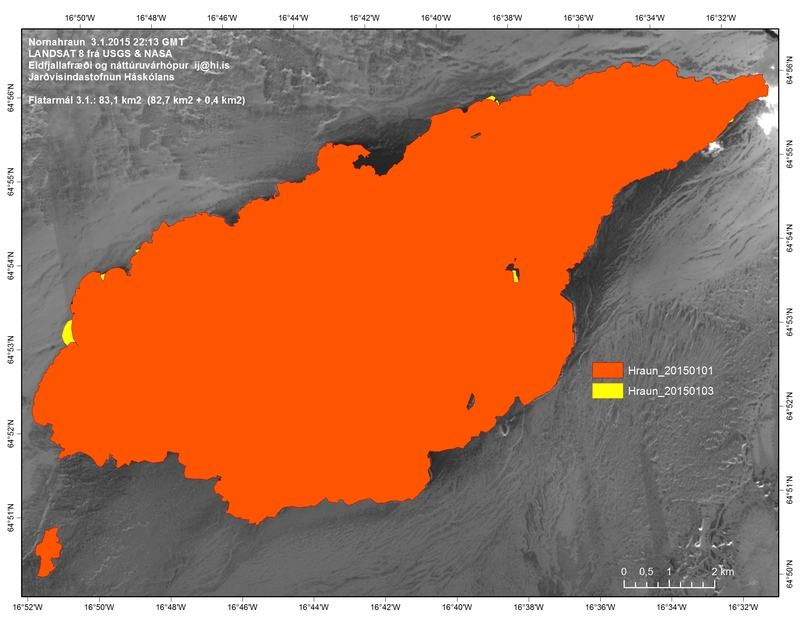 The GPS station in Bardarbunga caldera show that the caldera continues to subside. cases have though been reported. (3400 μ/m³) in Reydarfjordur (1000 μ/m³) and in Jokuldal (7800 μ/m³).